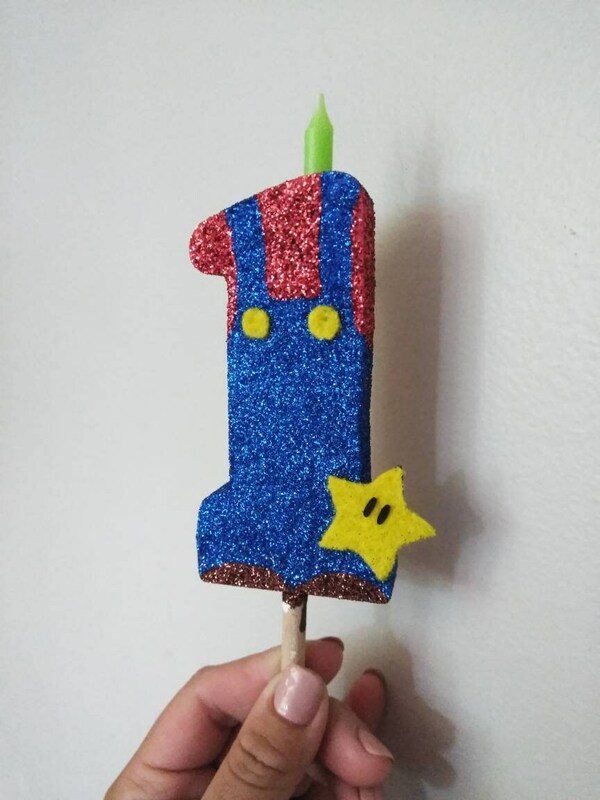 This cool Mario Bros theme birthday candle is one-of-a-kind. 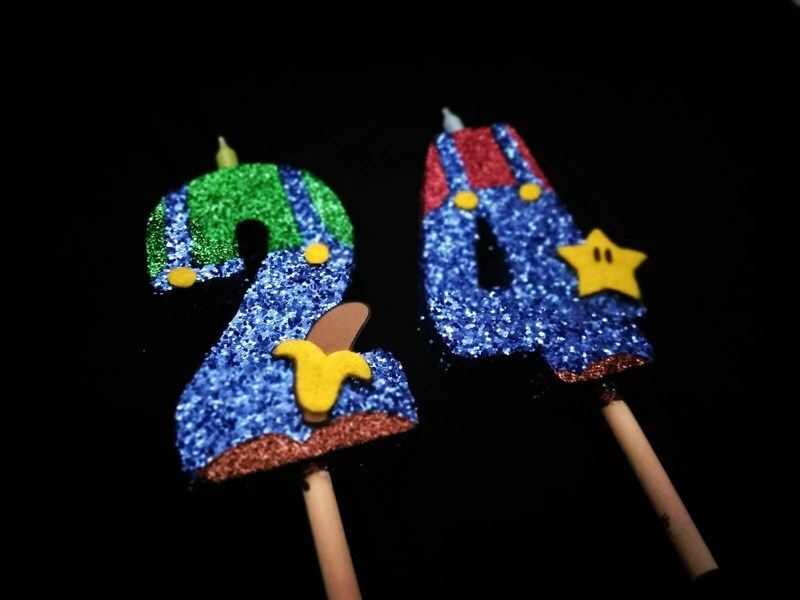 Handcrafted out of wood and made to order. 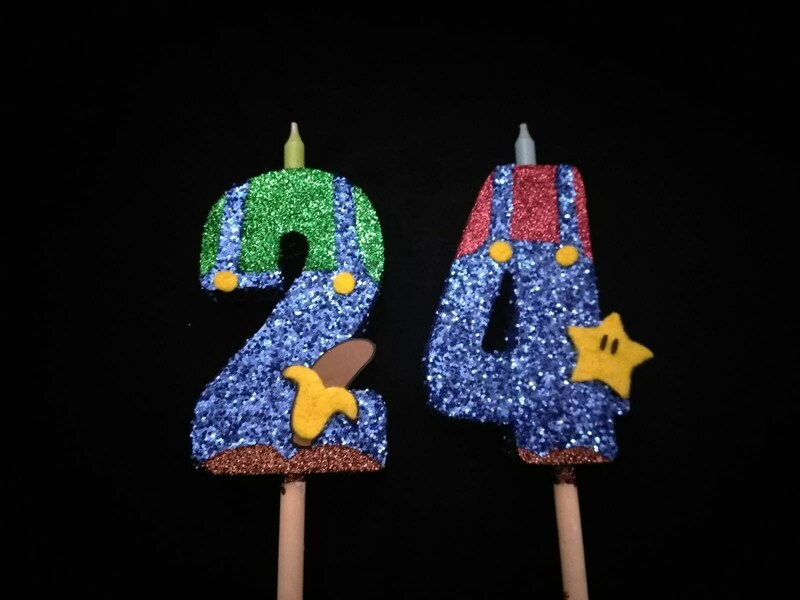 I specialize on custom wood birthday candles/cake toppers. All our wood creations are handmade and made in our home. From cutting and staining wood to designing and painting.